The Spanish caja (“box”) comes from the Latin capsa for the same. Case — In the sense of, well, a box. Capsule — Still retains the -ps- of the original Latin. Cash — Originally meant “money box”. Funny how the name of the container turned into the name of the thing itself. The Latin turned into the Spanish through an interesting pattern: the -sh- sound in Latin consistently turned into the -j- sound in Spanish (at first retaining the original pronunciation, but then under the influence of Arabic, grew to the throat-clearing sound). With caja, we have a slight variation of the pattern, where the -ps- sound turned into the -j- sound. Thus, the c-ps maps exactly to c-j. The Latin sounds for “sh” — and similar variations, like “ch” and “ss” — became a “j” sound in Spanish. 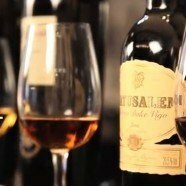 Thus, the English sherry is near identical to the Spanish jerez! 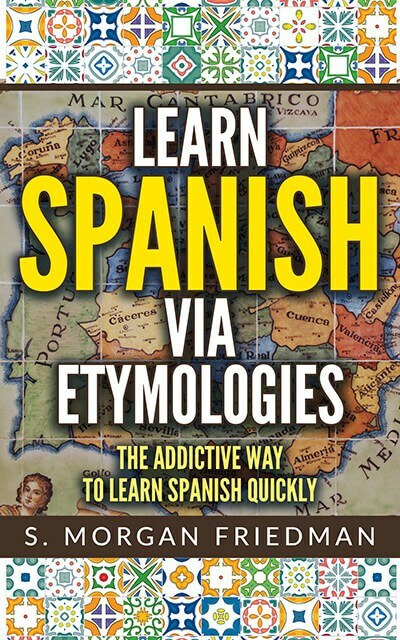 These sh/j sounds were often spelt with a “x” in old Spanish; and sherry itself is named after the town it first came from, Xeres, which is near Cordova. Jeringa, Spanish for Syringe, sounds like it has nothing in common with its English counter-part. But they are literally the same word. The Latin sh- sound often evolved into the j- sound in Spanish — originally retaining the sh- sound but eventually, under Arabic’s influence, transforming to the throat-clearing sound we know and love. This explains how both jeringa and syringe derive from the same root: the Latin siringa, itself from the Greek syringa. The sy- sound is a variation of the sh- sound and therefore the sy-r-n-g of syringe maps to the j-r-n-g of jeringa. In Spanish, another interesting word from the same root is lejos, meaning, “far.” This underwent the same sh to j transition documented in the other post. That which is far away, after all, is what we can be relaxed about, what it’s easy to be loose about. Lease — think about it this way, the English say “to let”, that is, to let people do something with your property, to be relaxed and distant about it. Lush — the lush man is someone who is relaxed about his diligence drinking. Leash — a leash is precisely what you use to try to not let anything get relaxed!